By buying this product you can collect up to 193 bonuspoints. Flygplan Air Florida Boeing 737-100, modell i metall. 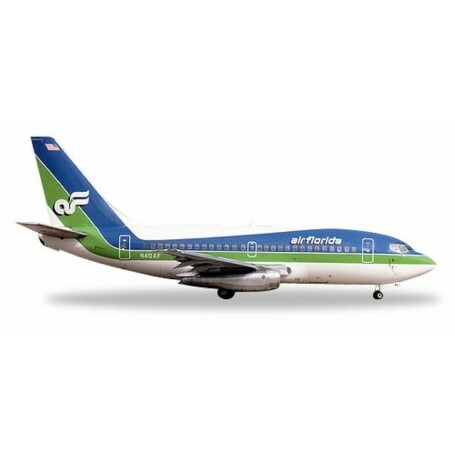 Founded in 1971, Air Florida quickly grew from a regional carrier to an internationally operating airline, with fl ights to Europe. Starting in 1979 a total of six of the original series 737 joined the fl eet.